Wizard Illustration by Meagan Bethel. Friends of Valley of the Moon! 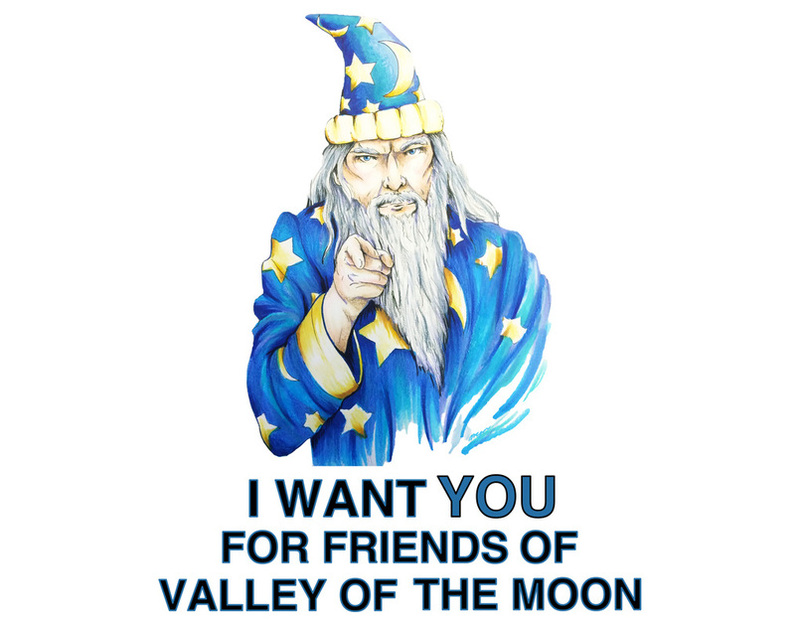 Friends of Valley of the Moon is a volunteer organization dedicated to supporting the vision of Valley of the Moon through community advocacy, fund development and direct operational support. There are lots of opportunities for volunteers with Friends of Valley of the Moon: docent program, fundraising, event support, community building, outreach, and more! If you're interested and would like more information please fill out and submit the form below.